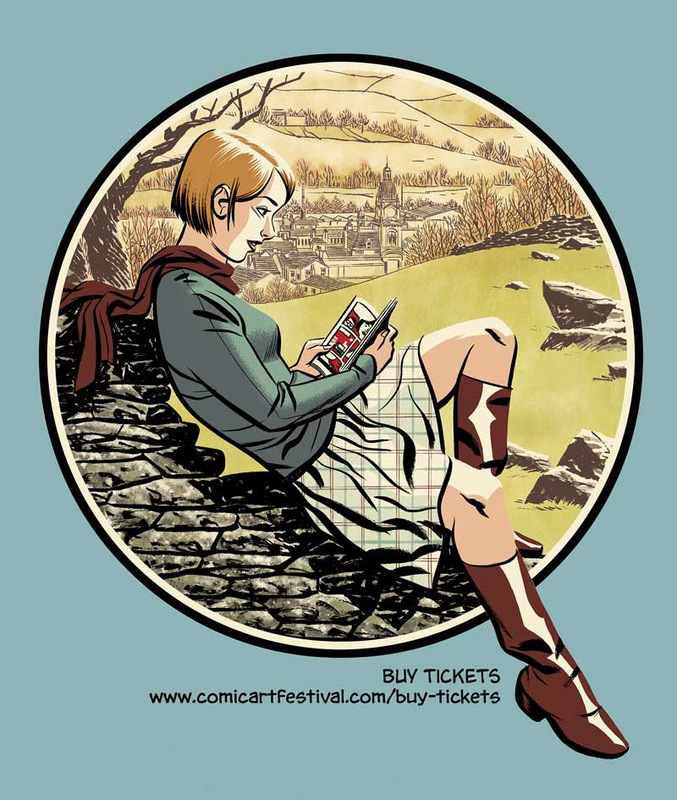 The Lakes International Comic Art Festival is delighted to reveal its programme for its Festival Weekend in October 2017, celebrating comic art from across the world. The Festival Weekend features over 70 international guests, including Sergio Aragonés, Stan Sakai, Comics Laureate Charlie Adlard, Hannah Berry, Melinda Gebbie, Jason LaTour, Brendan McCarthy and many more. Highlights of the weekend include events such as the Ultimate Comics Master Class with top MAD Magazine artist Tom Richmond; an in-depth interview event with Spider-Gwen artist Jason LaTour; the launch of new work by creators such as Mal Earl and Kermit Leveridge; the chance to meet the “insanely imaginative” 2000AD writer Peter Milligan; discover how comics can shine an uncomfortable light on our modern world with Hannah Berry, Darryl Cunningham and Fumio Obata; find out more about the art of top illustrator Michael Cho, who provided this year’s gorgeous Festival artwork; meet Usagi Yojimbo creator Stan Sakai; and experience Finnish comics – and the Moomins! – as you have never experienced them before. The Festival’s opening Gala Opening Night this year will be ‘Quick on the Draw‘ – a spectacular evening of live draw featuring some of the fastest, funniest and most talented cartoonists on the planet. The legendary Sergio Aragonés (who has only made occasional visits to the UK in the past) will demonstrate his quick-fire genius together with superstars from the United States’ cartooning scene. The Comics Clock Tower will also be packed with comic creators from across the UK and beyond and there will also be book launches aplenty, including Grandville: Force Majeure, Festival patron Bryan Talbot‘s fifth and final Grandville book. The full programme of events is now live on the Festival web site. This year, the Lakes Festival is moving to a pass system for the festival. The main events programme will be exclusive to pass-holders, there will be exclusive guest-related goodies and a fancy wristband identifying you as a festival supporter. Our Gala Opening Night this year will be ‘Quick on the Draw’ – a spectacular evening of live drawing featuring some of the fastest, funniest and most talented cartoonists on the planet. On this special appearance in the UK (and first in Kendal!) 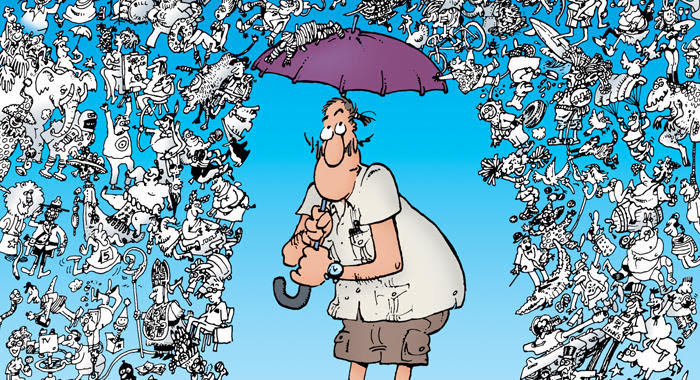 the legendary Sergio Aragonés will demonstrate his quick-fire genius together with superstars from the USA’s cartooning scene – Luke McGarry, Rick Stromoski and Tom Richmond, MC’ed by Steve McGarry. There’ll be some surprise guest appearances and plenty of interactive elements suitable for all ages. 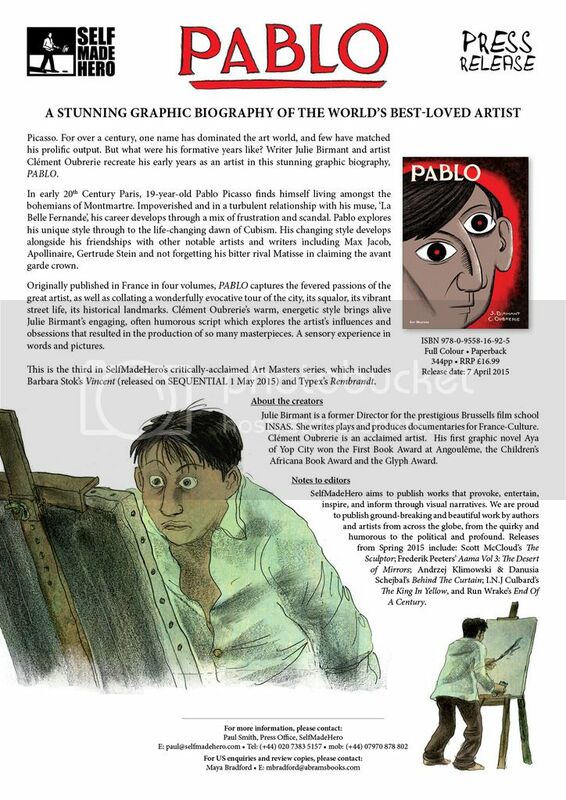 We are also delighted to be revealing the first ever recipient of The Sergio Aragonés International Award for Excellence in Comic Art. This event is brought to you by Wacom and the National Cartoonists Society of America in partnership with the Lakes International Comic Art Festival. LICAF is not known for being loud but on this occasion we’re going to let our proverbial hair down and shout….. a lot! Here goes: “We are proud to present the one and only Tom Richmond, the world’s greatest living caricaturist, who will be giving the lucky few (150 actually) the chance to experience his extraordinary and world-renowned masterclass (condensed version) in how to caricature”. 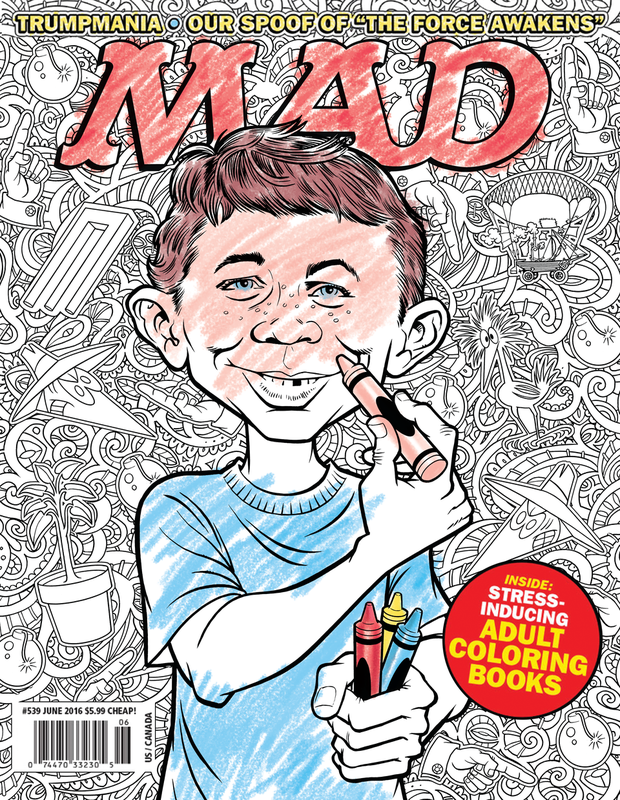 Tom is the current superstar of ‘MAD’ magazine where his caricatures and illustrations have been featured in film and TV parodies and articles regularly since 2000. Mariko Tamaki is a Canadian writer, activist and performer with “an avid interest in freaks, weirdos and other fabulous forms of human behaviour”. She has wowed the comic art world and critics alike with her collaborations with her cousin, Jillian Tamaki, which have included ‘Skim’ and ‘One Day Last Summer’, as well as bringing her distinctive style to popular titles such as ‘Teenage Mutant Ninja Turtles’, ‘Tomb Raider’ and, most recently, ‘Hulk’. Mariko is “out there” pushing boundaries and loves a good discussion so we hope this will extend well beyond a “normal” interview. Hosted by Alex Fitch of Resonance FM. Sponsors: In partnership with Toronto Comic Arts Festival (TCAF). Andrew Woodrow-Butcher created Little Island Books which was the first comic book store for kids in the world located in Toronto, Canada. His modesty may not allow him to admit that he is one of the world’s experts in kids comics. Canada is at the forefront of comics for young people (0-18). Andrew will be joined at this event by some of its leading writers and illustrators – Claudia Davila (‘Luz Sees the Light’, ‘Child Soldier’), John Martz (‘A Cat named Tim and Other Stories’, ‘Burt’s Way Home’), Ryan North (‘Adventure Time’, ‘Dinosaur Comics’) and Jillian Tamaki (‘Super Mutant Magic Academy’) who will share their joys of writing for young people and discuss what makes a good kids’ comic. Sponsors: In partnership with TCAF There will be signings immediately after the event. New Battlestar Galactica Ongoing Series Written By D n A! 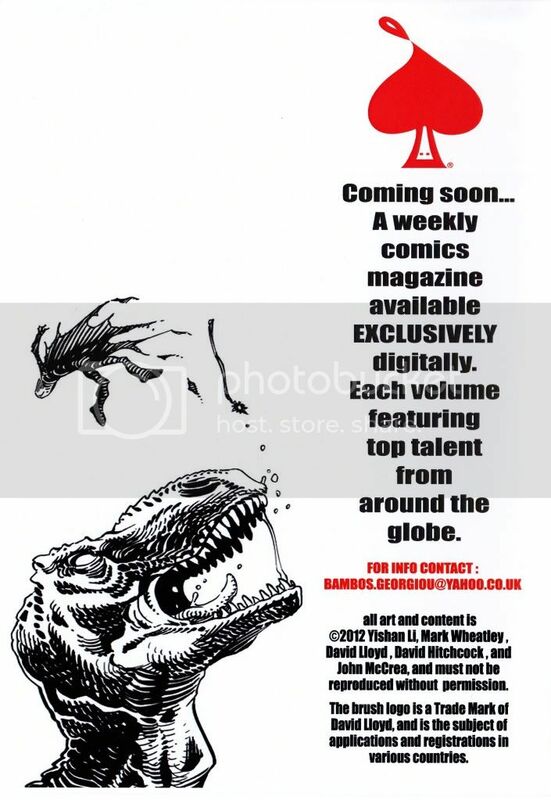 David Lloyd announces a new project! New Ms. Inkwell Debuts While Inkwell Awards 2018 Launches! Mary Jane Watson Takes Center Stage In Spectacular Variant CoversThis Week's New Release from Zenescope: Robyn Hood: I Love NY and Spirit Hunters!